The hybrid Fishing/Paddle vest from Stearns offers the best of both worlds to those who want to paddle, fish or do both. Although this is a very safe PFD, it has clearly also been designed for comfort and convenience. It is available in two different sizes, Universal as well as Oversize, but the fact that it is fully adjustable means the Universal will fit most sizes. It is a United States Coast Guard Approved Type III flotation devices and quite durable to boot, thanks to its nylon shell, PE flotation foam, webbed straps and thick zipper. Rowing and casting is very comfortable with this hybrid vest as it features large arm holes. Four side adjustments allow for a customized fit and it also has high foam on the back for support. To make the vest even more comfortable, it has soft neoprene-lined shoulder as well as lower back panels. In terms of angling specific features, this PFD really shines with a large front compartment that can fold down. This means you can use it as a convenient work station or to tie a fly. You can also keep your smaller gear close at hand thanks to the front pockets of the PFD. In addition, it has attachment points for clipping even more accessories you want with you. 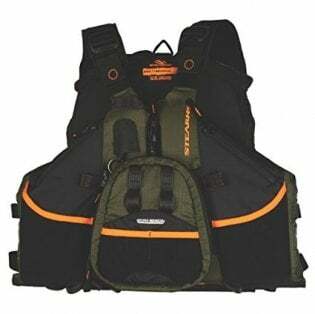 If you want comfort and want plenty of storage space without your PFD feeling too bulky then the Stearns hybrid Fishing/Paddle vest is a good choice. With seven pockets on the front, one of which that doubles as a handy workstation, you'll be reaching down to grab stuff from your tackle box way less. The generously sized armholes are also a big plus and the supportive foam on the upper back makes a big difference. Select the types of water this product is used on. Select how many times you have used this product. Tell us what you think the pros of this product are. Tell us what the cons of this product are. "You can put it on and almost forget your wearing it. Light weight not bulky like other PFDs. Only down side CO2 refills are around..."
"I will admit it, there are really only a few times when I will wear a PFD. 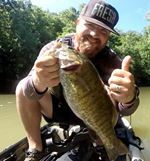 Paddling in cold weather, crossing big deep bodies..."
"I wear this PFD every time i hit the water. Even if I'm only in a foot of water fishing this PFD is as..."